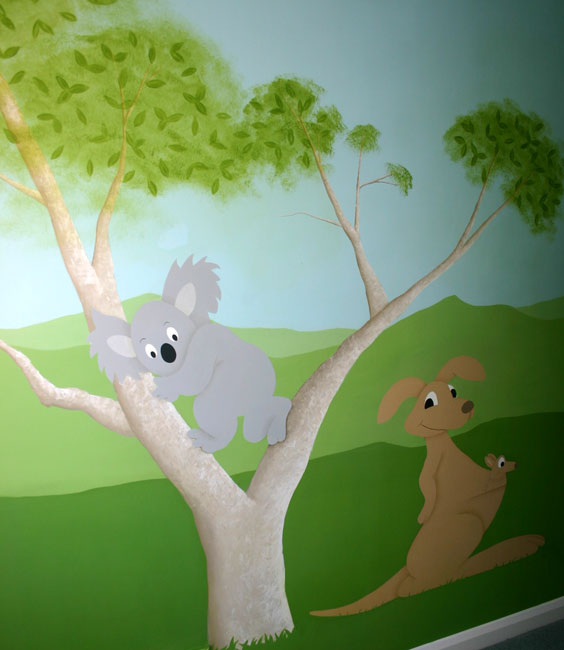 This hand painted nursery mural was commissioned by an Australian couple for their new born son. They had emigrated to England and wanted a mural scene to remind them of their home. 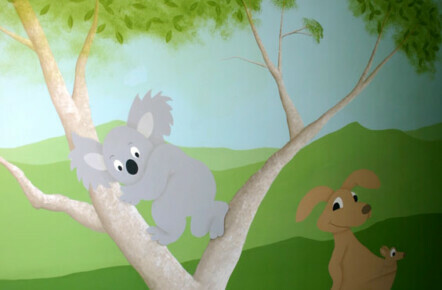 The mural itself was painted quite simply using a block colour background and bold, cuddly looking characters.